So you’re looking for a solution to fix your loose dentures! Perhaps, your teeth sustained damages in an accident. It’s also possible that some of your teeth are missing. No matter the reason, any such condition that gives an unsightly appearance to your smile, can significantly impact your confidence. However, you can rectify the problem through orthodontics Innaloo. At our dental clinic in Innaloo, we’re able to treat a range of complicated dental issues. Here are common reasons why you may want to utilise our services. Most people rely on regular dentists for complicated dental conditions. You’ll also find some people who will turn to over the counter medicines to try and treat their condition. All such options only ease the problem temporarily, but actually need specialised orthodontic services such as those found in our Innaloo dental clinic. If not identified early, the condition can magnify, inviting a host of other dental troubles. At our dental clinic in Innaloo, we’ve highly qualified experts who can treat a range of dental problems. Whether you’re struggling with loose dentures or damaged teeth, our orthodontists are able to treat the condition through Invisalign, braces and other treatment options. Many people justifiably feel uncomfortable to communicate with others due to missing, stained or injured teeth. Some folks even have overbite problems. Any such condition can impact on the confidence of the individual. Also, such people feel shy to interact in a social environment. If you happen to be one of these sufferers, you can benefit from orthodontics Innaloo and have your dental issues successfully treated. Once the treatment is completed by our Innaloo Orthodontic specialists, you can walk out of our clinic confidently with a bright smile. Some sufferers become dependent on over the counter medicines for treating the pain associated with loose dentures or overbite problems. Many of these individuals end up enduring some sort of side effects. Common ill effects include nausea, fatigue, irritation in gums, and lots besides. The truth is over the counter medications only soothe the pain on a temporary basis. However, the pain returns after some time. Also, the side effects associated with the medicines will make the condition worse. All such situations could be easily prevented by scheduling an appointment with our Innaloo orthodontists. We administer successful treatments for your dental condition, to minimise the risk of side effects associated with long term pain-killer usage. Some people may not turn to a reputable orthodontist due to the perceived high cost factor. Many such sufferers think that turning to a proficient orthodontist might be out of their budget range. However, that’s not even close to reality. Our Innaloo orthodontic specialists offer top of the line orthodontics treatments at an affordable prices. You can schedule an appointment with our experts, and find out hassle-free payment and affordable treatment options. Dealing with some sort of dental condition can be debilitating. As well as hampering your persona, dental problems such as loose or missing teeth can lower your self-confidence. However, you can easily fix such conditions by attending our Innaloo Dental clinic and meeting our professional friendly specialists.. Increased confidence, sure-fire results, low risk of side effects, and affordable charges, are some of the benefits that you can avail at our dental clinic Innaloo. 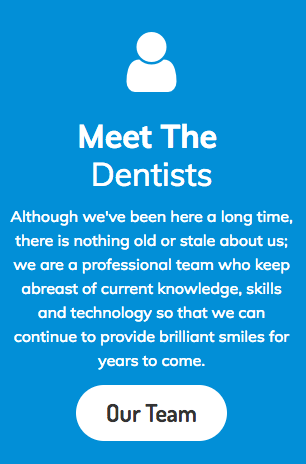 Just get in touch with us for all your dental problems and say goodbye to your complicated dental issues.